Does it ever feel like there's something strong, stubborn, and perhaps even unseen... holding you back in life? 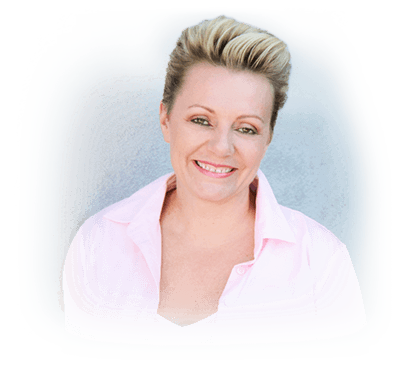 Something that's BLOCKING that raise or promotion… that dream career… that financial freedom… that passion-driven lifestyle... that fit body… that loving soul mate… or even the healing you so urgently need? And do you ever sense that if you could just break free from this block… the floodgates to your highest potential would finally be unleashed? A wise friend once told me, "Most of us are just ONE breakthrough away from greatness." With a tribe of over 5.8 million people through through my personal growth movement: Mind Movies. But years back... I was a wreck! I was a stressed out serial entrepreneur, and my partner and I were $120,000 in debt. I was overweight and lethargic. I wasn't even talking to my parents. I spent years - too many of them! - in this dark pit of anxiety, negativity and frustration. So who did I blame? My upbringing. My bad luck. The economy. The industries I was working in. On some days, my poor partner Glen would get the blame too. You've heard the saying "everything is energy," right? Then your reality starts changing too. Out of nowhere, you become that "lucky" person who always catches a break. Opportunities and solutions start falling into your lap. All the right people start gravitating towards you. And all those stubborn obstacles holding you back... start scattering like bowling pins. That's how I took my life from negative to positive - and how I sincerely believe you can too. So the natural question is: how do you experience this deep dive, and 'upgrade' yourself energetically? And, since I know time is as valuable to you as it is to me - how do you achieve this in the easiest, fastest way possible? What technology am I talking about? Meditation. Or guided meditation, to be exact. And wiping out the hidden energetic blocks cheating you of becoming the wealthiest, happiest, healthiest, most successful version of yourself. You've surely seen the countless scientific studies on the benefits of meditation. You already know hundreds of millions of people worldwide meditate - including many of the most successful entrepreneurs, visionaries, athletes and artists. And with guided meditation - you don't even need the years of trial-and-error you normally would to meditate effectively. That's why I swear by meditation to keep myself energetically optimized. The Free Flow Energy Clearing System is an immersive guided meditation audio specially designed to clear your energetic 'blueprint' of all blocks and negative charges. Since it's a guided meditation - absolutely no prior experience or skill is necessary. You just sit down and relax a few times a week, and let the short 16-minute audio guide your mind on a liberating journey into the essence of you. The first time you do this, you may notice an instant sense of relaxation and clarity. An epiphany or two may even emerge. 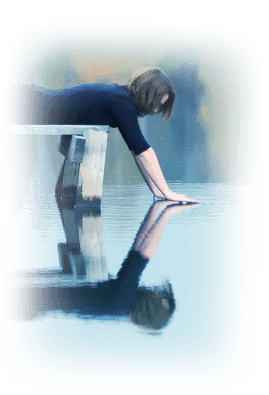 Experience a peaceful encounter with the SOURCE of your most damaging limiting beliefs, allowing for a deeper understanding of your innermost desires and fears. Finally gain the focus, energy and self-love to break free from your unwanted habits - and replace them with new ones that rocket you towards your professional, financial, health and romantic goals. How Would Your Life Change If You Were Constantly In Flow? Your mind blissfully clear, positive, and overflowing with brilliant ideas. Which empowers you to sniff out the lucrative opportunities around you, and spend on the things and people you love - with zero guilt or second-guessing yourself. And knowing exactly what to say to speak your truth, make them feel valued, and connect with them on a deeper level. This is just a tiny example of the REAL ways your life starts changing, when you use the Free Flow Energy Clearing System to stay energetically unblocked and empowered. How much is that kind of change worth to you right now? And how much would it continue to be worth to you, as new challenges and blocks enter your life in the years to come? Most people would call it priceless. But when you try the Free Flow Energy Clearing System on this page today, it's yours for the low one-time investment of just $97. Click on the Add To Cart button below to secure your Free Flow Energy Clearing System at a special price, along with your 60-day money back guarantee. 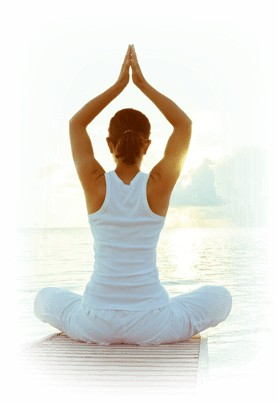 You will then get instant online access to your guided meditation. Choose between listening to it online, or downloading it to your computer, smartphone, tablet or media player. Why not meditate in a park or on the beach? 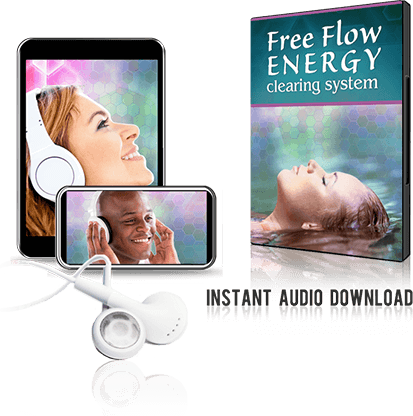 Start using your Free Flow Energy Clearing System at least 2 - 3 times a week, for 16 minutes each time. Use it as a start to your day, a booster during lunch time, or even as a nightcap - it's your call. Take note of the changes that happen in your thoughts, emotions and daily living experience, as your mind begins breaking away from your energetic blockages. A. 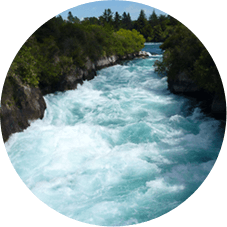 The Free Flow Energy Clearing System is a guided meditation, meaning you just have to relax and follow the simple instructions provided - no experience necessary. Don't worry about mind chatter or restlessness, these are all natural parts of meditation, and you'll find yourself becoming less and less affected by them as you keep repeating the meditation. A. 16 minutes a day is recommended, but you can still experience results in as little as 8 - 10 minutes. And if you're busy, remember that the great thing about meditation is it actually makes you more productive in your waking hours, by amplifying your focus, creativity and clarity throughout the rest of the day. A. Absolutely! 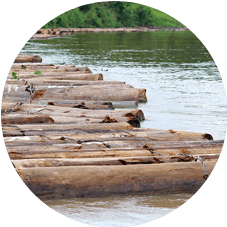 We have a trained Customer Coaching team that would love to hear from you, and help you get the most out of your Free Flow Energy Clearing System. Just email us at [email protected], and we'll get back to you within 24 hours. A. That's what your 60-day guarantee is for! We actually want you to try the audio, and make sure you like it before committing your investment. 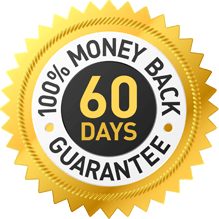 If it doesn't work for you for whatever reason, even if you're too busy or you don't like the way it sounds, you will be refunded in full when you notify us within 60 days of your purchase.